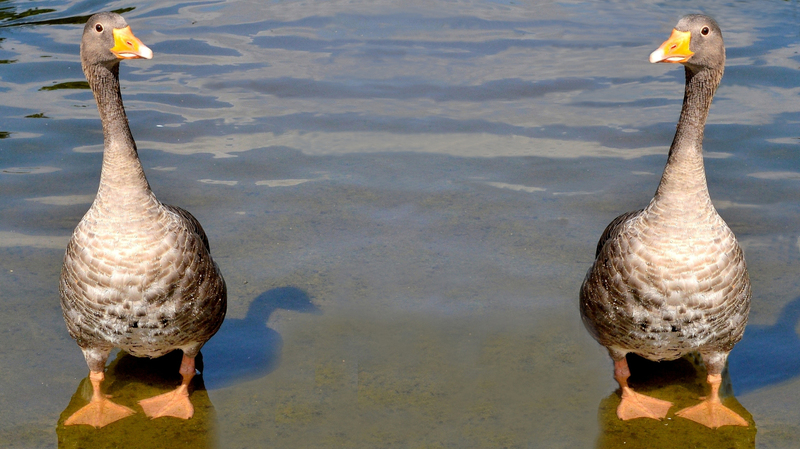 Thanks to a friendly park keeper at St James Park, I was able to photograph twin Graylag Geese. Born from one egg, that would otherwise have been a double yolk, they rarely survive and these two have another special feature. Ethologist Konrad Lorenz did his first major studies into the behavioural phenomenon of imprinting using Graylag Geese and, according to the park keeper, these two have imprinted on one another and are inseparable. This entry was posted on April 1, 2015 by Graham in Hats. It was filed under Animals, fun, Photography, Wildlife and was tagged with fun, Geese, graylag, graylag geese, photography, rare, twins. Love it!! Even the ripples have got in on the act. Excellent! An ingenious idea and so convincingly written. Hats off to you! I’m sure I don’t know what you mean. 🙂 Thanks for the comment. haha you got me – good one! You win a 🐻 for getting the double yolk and another 🐻 for the nearest thing to ingenious abuse (as invited). :-D.
Well….I’ve cracked a few double yolks in my time. You had me. Very interesting!, you definitely got me!, had a laugh.